This Monday, thousands of Palestinian “protestors” have set the Kerem Shalom Border Crossing on fire because of the U.S. opening their new embassy in Jerusalem. The problem with that is that Jerusalem is currently a contested city. With the US embassy opening, Jerusalem is now recognized as Israel’s capital. Thinking about it from another perspective, that would be like Israel putting their main embassy in New York City, and recognizing that as the capital, not DC. The Kerem Shalom Border Crossing is an area where Palestinians receive food, water, fuel and other humanitarian goods. The Israelis, who provide this stuff, retaliated back and killed 60. Since then, many in the world have been very quick to condemn Israel for their excessive use of force. I disagree, I believe Israel was right to use the force, maybe not as much as they did, but they still had every right to retaliate. I used quotation marks around the word “protestors” in my lead, these people were not protestors, but Hamas. Hamas is an anti-semitic terrorist organization, their goal is to destroy Israel. Hamas has taken credit for this attack and have come out and said that 50 of the 60 killed, were Hamas members. The members of Hamas have been acting horribly for the Palestinian people. 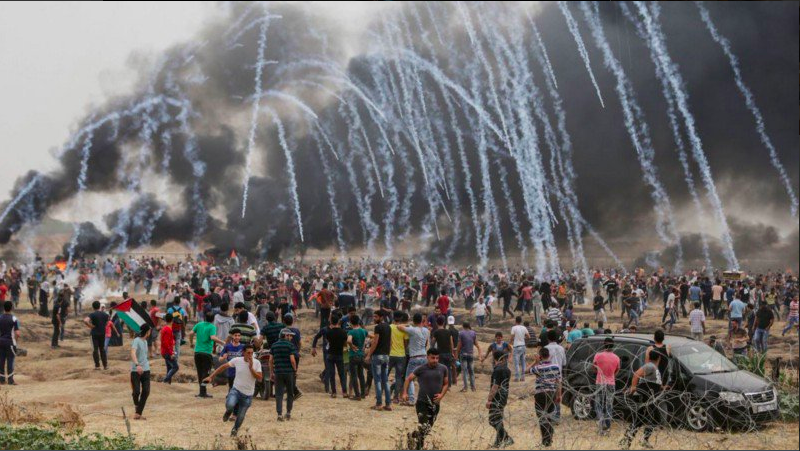 They have increased tensions, fired shots and rockets at the Israeli Military; they even have blocked vital humanitarian aid from reaching the Palestinian people. They act like the authorities when they are not. 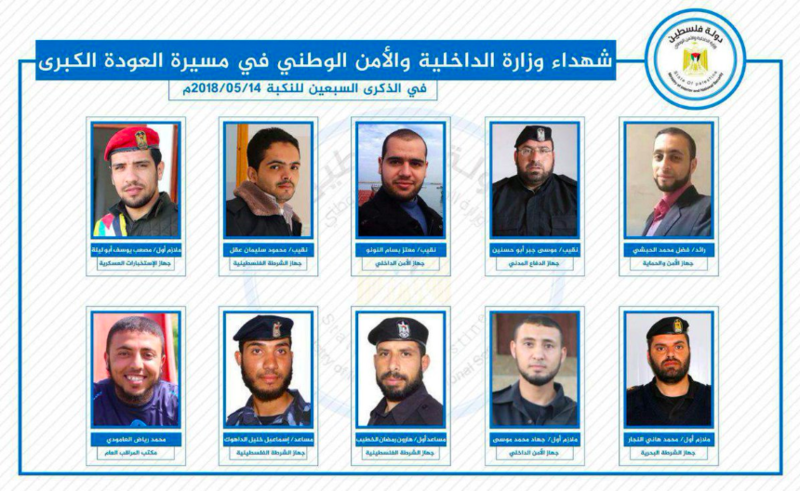 Some of Hamas’s “martyrs”, most are in military gear. Hamas purposely did this to get attention. They even have a video of the “dead martyrs” when you can clearly see one move. There is another video of a protester who was on crutches, running freely. They are very manipulative and mess with the Israelies when they know that tensions are high. They are endangering not only Israelies, but their own people. They know Israel is a country of action and not just words. It’s like someone putting their hand in the fire, and then complaining about being burned. I feel like the condemnation that Israel received is only because President Trump opened the new embassy in Jerusalem. Well, President Obama tried it too, so it’s not fair to jump on the Trump bash train. He has done something great for the Israeli people. The response to it just shows that people would rather see Trump fail than America and our allies win. I know Trump wasn’t really the first choice for most Americans but he is the President now; we must now work together to benefit America and the World. The world would be a better place if things weren’t exploited for personal and political gain. Let us work together to benefit this country, and the world, by working together as one country or in unity with our ally Israel, to end Hamas.